Baita (pronounced bye-ta) has a retractable roof to transform their venue from a light and airy ambiance to a warm cozy option in the winter. The Alpine lodge inspired decor, signature Italian Cuisine, wine list, cold or even warm cocktails make this a great winter escape in the middle of a brittle NYC winter. Skylark located in New York's Fashion Diatrict offer one the most gorgeous views of the Hudson River, Empire State Building, and Times Square. Escape the cold and crowds 30 feet above and watch the sunset with a cocktail and good company. They are booked on weekends for private events but open to the public Mon-Fri. 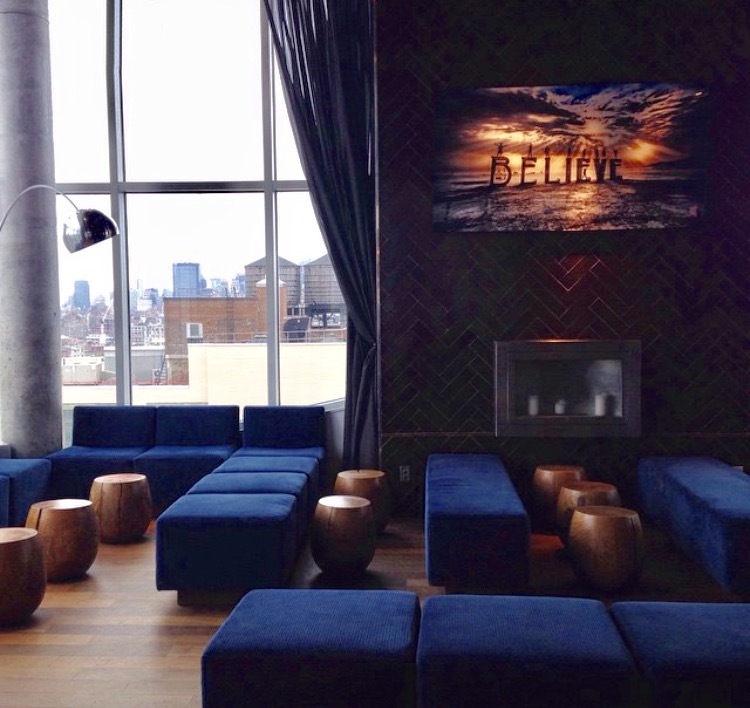 The Refinery Rooftop, the jewel of The Refinery Hotel is located in NYC's famous Garment District. They offer a beautiful view of the NY skyline and Empire State Building with a retractable glass roof. The gorgeous rustic decor, beautiful lights streamed all throughout, and bonus fireplace, this rooftop offers a nice and cozy ambiance. Open 7 days a week all year round. 230 Fifth located in Flatiron offers a great must see for tourists and locals. It can get really crowded, so try and get their early. If you get lucky you might be able to snag one of their awesome igloos which can seat up to 11 people. It's first come first serve. They also offer large umbrellas so rain or shine this rooftop is open and ready for business. Jimmy at The James is definitely known as a NYC hotspot with countless celebrity spottings. Located on the 18th floor of The Jimmy Hotel, Jimmy at The James has beautiful panoramic views of midtown Manhattan, bustling Wall Street, and the Hudson River. I'm sure you can imagine the view at night to be nothing short of spectacular. Whether you hang outdoors by the pool or inside by the conversation area this modern contemporary hotel delivers a great ambiance with their extra cool 1970,s touch. It's not always easy to get in but their grilled pineapple mojitos might be worth the hassle. St. Cloud Rooftop is located right in the heart of Times Square at the Knickerbocker Hotel. This rooftop has indoor and outdoor seating and being 16 floors above, the view is just outstanding. This is a prime location for tourists and afterwork locals but just a warning, be prepared to pay top dollar for drinks and food. These are a few options, and there are so many more! If you have a favorite rooftop here in The Big Apple that you'd like to share with us, we'd love to hear from you!